Clarence Hauboldt obituary. Carnes Funeral Home. Jun 17, 2012 The Carnes Funeral Home Staff offers our sincerest condolences to the entire Hauboldt family. It was our honor to serve your family. 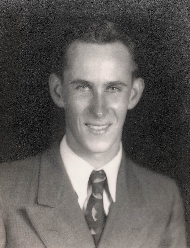 Clarence George “Bud” Hauboldt, age 89, of Pearland, passed away Tuesday at Houston Hospice in Houston, TX. He was born August 23, 1921 in Victoria, TX to William and Amanda Hauboldt. Bud graduated in the class of 1939 in Victoria, Texas. After finishing high school, he enlisted in the Navy in 1942. Bud served as radio engineer on the USS Mission Bay, during World War II. He later worked as a radio engineer for KPRC. Bud started Hauboldt Fiberglass in the early 60’s where he was actively involved as the founder and the president until his retirement. Bud was preceeded in death by his father, William H. Hauboldt; mother, Amanda W. Hauboldt; brothers, Edgar and William “Bill” Hauboldt; and sister, Adline Ross. He is survived by his loving wife of 63 years, Lois Miller Hauboldt; sons, Don, Larry Robert, Jimmy Hauboldt; daughter, Debbie Lingo and husband Dan; brothers, Arlin, Leo Hauboldt; sisters, Gladys Stange and Marjorie Buchholz; and grandchildren, Adam, William and Larry Hauboldt and Madison and Julia Lingo. Visitation will be held Saturday, January 29, 2011 from 1:00 PMuntil 2:00 PM at the New Harvest Christian Fellowship on 12216 Broadway Pearland, TX 77584. The Funeral Service will follow the visitation at 2:00 PM. He was a loving and caring husband, father, grandfather and friend. He will be greatly missed by his family, friends and all those he touched.